Absolut is one of the real mega brand success stories of the end of the last century. With innovative packaging and spectacular advertising, the brand set the spirits world alight and created the premium vodka category. Fast-forward to 2007 and things have changed a little. Absolut is still a huge seller, but it no longer has the cache it once used to have. Brands like Kettle One and Grey Goose emerged from seemingly nowhere, to become the “it” brands of premium vodka. The Goose ended up being sold to Bacardi for over $2 billion, not bad for a brand that had only been around for a handful of years. One of the secrets behind the new premiums was that they didn’t rely on advertising, instead they found a way to get the bar staff and bar tenders on their side and used the power of recommendation. 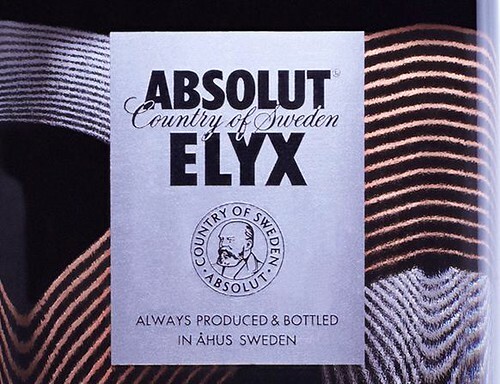 Even though the brand’s owner, the Swedish government is due to sell its prized asset, early in the year, Absolut broke a new ad global campaign and yesterday launched a fascinating new initiative. Absolut is known for its bottle, but also its flavors, at one moment in the late 90s, it seemed like the brand was launching a new flavor a week. The brand is now taking its flavor story in a new direction by launching flavors named after locations with specific recipe designs. The first one out of the gate is Absolut New Orleans– mango flavor with a black pepper kick. The new flavor will be limited to a run of 35,000 cases. This is a very interesting development for a brand trying to escape from the tyranny of ubiquity by becoming more local and limited. It allows Absolut to be relevant to important drinks markets and gives them the opportunity to create a new conversation with bar tenders. They are also returning all the profits (minimum of $2 million) from the sale of this new flavor to five Gulf Coast charities.